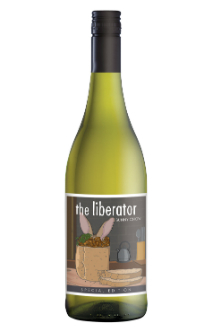 The latest in our run of Liberator exclusives from South Africa is a fragrant and refreshing viognier, sourced from excellent Stellenbosch vineyards. As usual, this is a one-off – just 1,957 bottles were produced, which we snapped up on first sip. Delicious! Shame it’s no longer available! Sounds Fabulous… sorry to have missed that one! Out and about I have tried their Semillon / Sauvignon Blanc “An arrogance of Sommeliers” which was delicious and you must admit a great name! And I still rate their “Midnight Bakkie” of which I have recently found one more bottle downstairs. Just waiting for the right moment. Such a long day today, finally home, kids in bed much later than normal. Haven’t had any wine in nearly a week ! (What is WRONG with me !) I’ve just opened this offer from M&S … a bit cold to taste properly so just waiting for it to warm up ! I agree this was one of my favourite whites at the back end of last year. 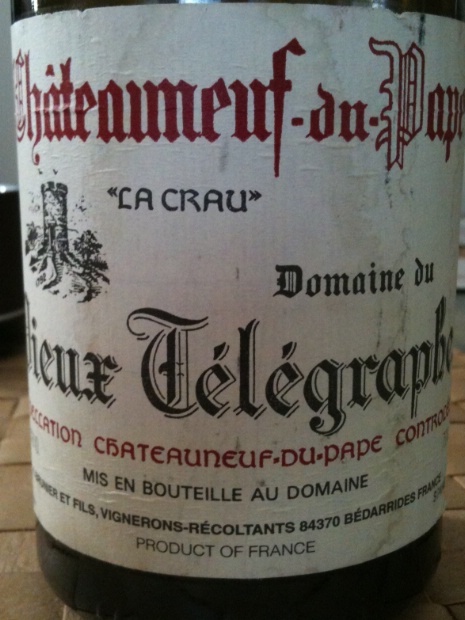 Average of 90.6 points in 350 community wine reviews on 2001 Domaine du Vieux Télégraphe Châteauneuf-du-Pape La Crau, plus professional notes, label images, wine details, and recommendations on when to drink. After initial experience of this, reluctant to take out in polite company. Cork in better condition than first bottle. 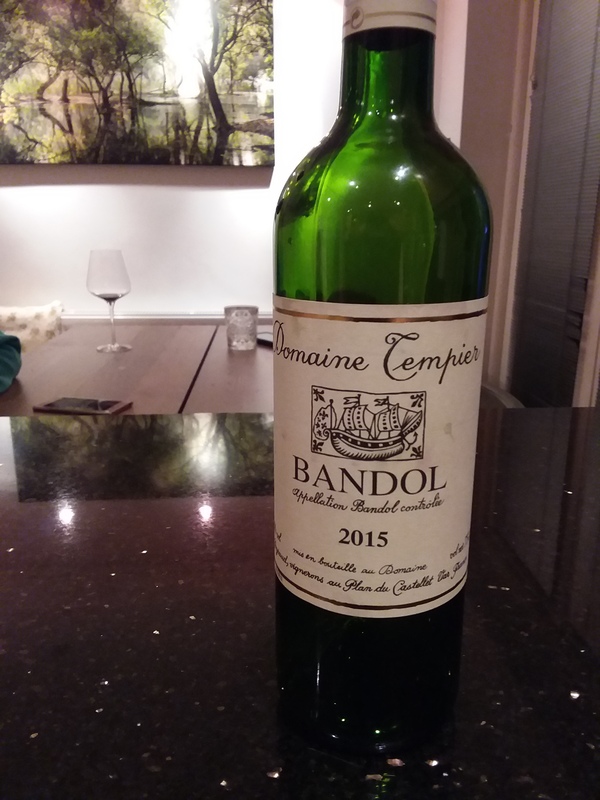 Had some of that decaying, expansive old CNDP grandeur but still not really the complexity one would hope for and it is a bit hot in terms of the balance of alcohol to fruit. 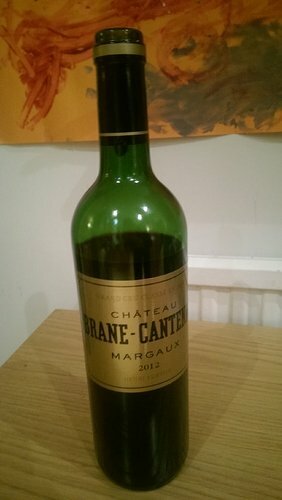 Will see how the decanted half fares. 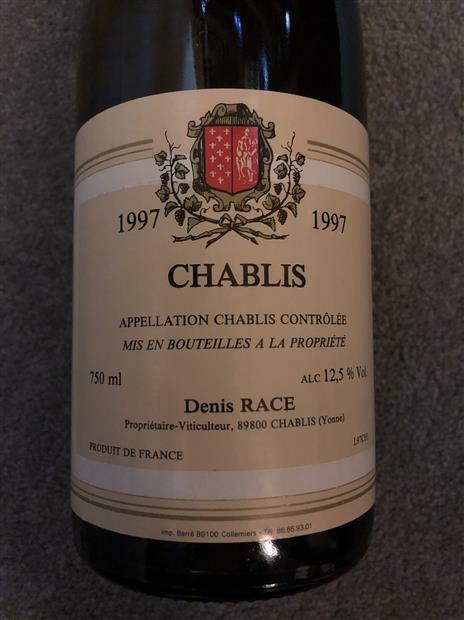 Community wine reviews and ratings on 1997 Denis Race Chablis, plus professional notes, label images, wine details, and recommendations on when to drink. Had not idea what to expect, as have no experience of old Chablis, and picked this up as a bin end at some point last year. It was a wonderful deep yellow gold in colour and had certainly gained body, good minerality, overall very impressive. Tonights line up, it’s my wife birthday, so rather than drinking the golden bottle which I anticipate will turn up today, sorry @Leah , I have chosen the following. If someone could help with one question please will the Beaune be ready to drink? If not it will be the Kataro. @Freddy you really need to get your hands on this Kataro, you know it makes sense. What a lovely line-up! And happy birthday to Mrs @japcraw! Not sure about the Beaune- not my area, but I’m sure wiser people than me will be able to tell you. 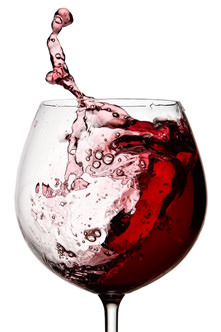 I am rather partial to a Muscat de Beaumes de Venise , though - so hope it’s a good 'un! I wish Mr. Leah would make such an effort on my birthday ! In his defence though, he’s usually away for it . What time is your delivery scheduled for @japcraw?? Also, I don’t think there is any right or wrong in opening the Beaune. It may be a lovely fruity and enjoyable PN but it may also be closed down. They only way to know is to Coravin it ! I would think though that it is suitable for opening now . 12.58 to 1.58, but its being delivered to Mrs A’s work, as I had to go out to get flowers, ingredients to make Tiramisu, buy the lamb etc. 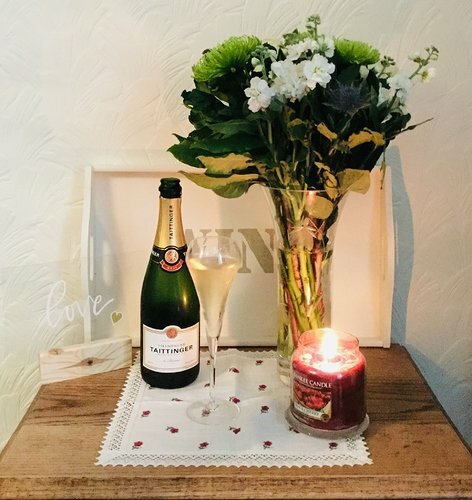 I did say I would get her some gold for her birthday, if there is no bottle in that case I am toast. I can’t imagine the Beaune will be ready to drink - I agree with @Leah it will probably be closed. Shame to waste it ! Is all that booze just for the two of you?!! The red is one or the other, so 1 fizz, 1 red and dessert wine for two. 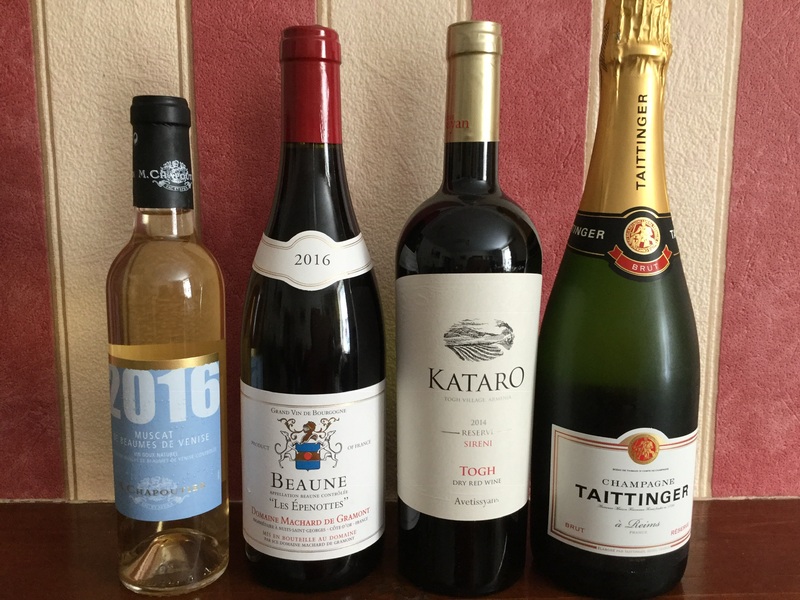 ….thanks to the on-line tasting you held. I was only a lurker at the time but enjoyed the comments so much I had to try a bottle. Shame I didn’t try it sooner whilst it remained in stock. Big thumbs up from me to everyone involved on the night and to the buyer. With belated condolences to the family and friends of the winemaker who passed away so tragically at such a young age. Well this Taittinger champagne is delicious, fine bubbles, plentiful, peach, apricot and bit of toast on the nose, baked apple, brioche, nice acidity and. long finish. 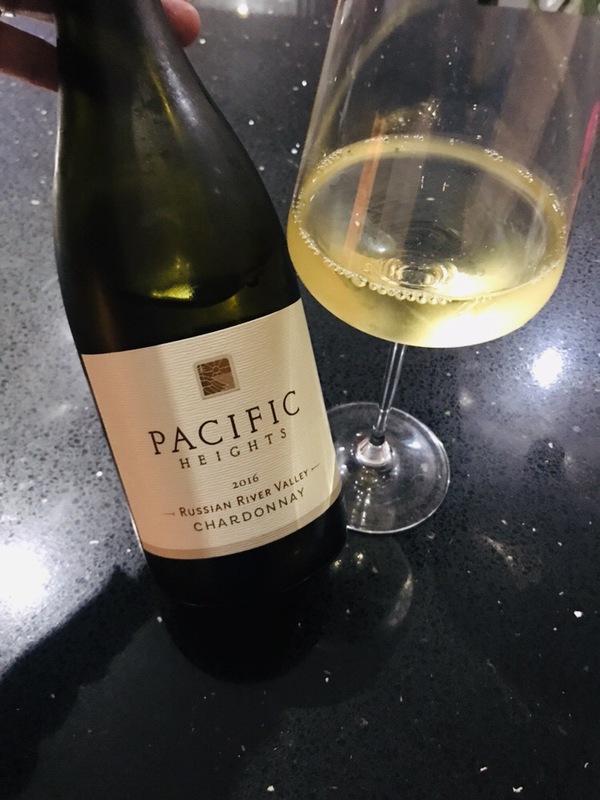 Bought 6 of these at Tesco when they were on offer, £21 a bottle, an absolute steal. Well-balanced Hungarian red with ripe, scented fruit, and an excellent follow-on to the popular 2012 vintage. Clearly the distinctive kékfrankos grape (the Austrian blaufränkisch) flourishes in the Villany district of south Hungary. Another frankovka/kekfrankos/blaufrankisch/lemberger. This is quite oily in texture, a bit of oak and dark fruit. Decent if not great. This tonight. As mentioned previously I really enjoy Bandol. Super young, super tannic but a great wine if you have the patience.